Abraham Lincoln Facebook patent hoax and the future of open-source innovation. No, Abraham Lincoln did not patent Facebook. 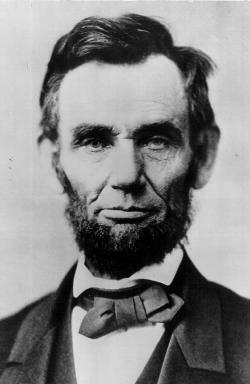 You may have heard this week that Abraham Lincoln filed a patent for Facebook in 1845. Rest assured, it’s as untrue as it sounds. While the hoax ran wild around the Internet, the stories about it tended to get one piece right: Lincoln held a patent for an invention, making him the only president with that distinction. In 1849, he received a patent for a flotation system to help dislodge boats from sandbars. As Smithsonian magazine described in 2006, Lincoln traveled on the Mississippi River and the Great Lakes in his younger years and experienced the hazard of unpredictable sandbars. Those words are now engraved in stone on the Department of Commerce in Washington, but the admiration of the patent system hasn’t been quite so permanent. Today, many think patents are more trouble than they’re worth—or worse, stifle creation altogether. But just because inventors embrace open-sourcing doesn’t mean they aren’t interested in building businesses around their inventions—and that can be a tough sell to investors. When Ayah Bdeir created littleBits, which she describes as Legos for the electronic age, she initially had trouble getting support for a business that didn’t own its intellectual property. Among the many concerns was the fact that anyone can legally copy an open-source product. Nathan Seidle, founder of Sparkfun Electronics, said worrying about this was just a distraction. “Every day that I worry about somebody copying me, every day that I go after somebody who has copied my design, is one less day that I’m working on the next big thing,” he said.